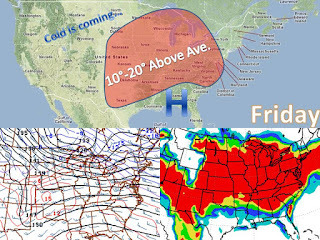 Midwest Winter Weather Blog: Warm Up for the Midwest is Coming, Maybe Two of them? 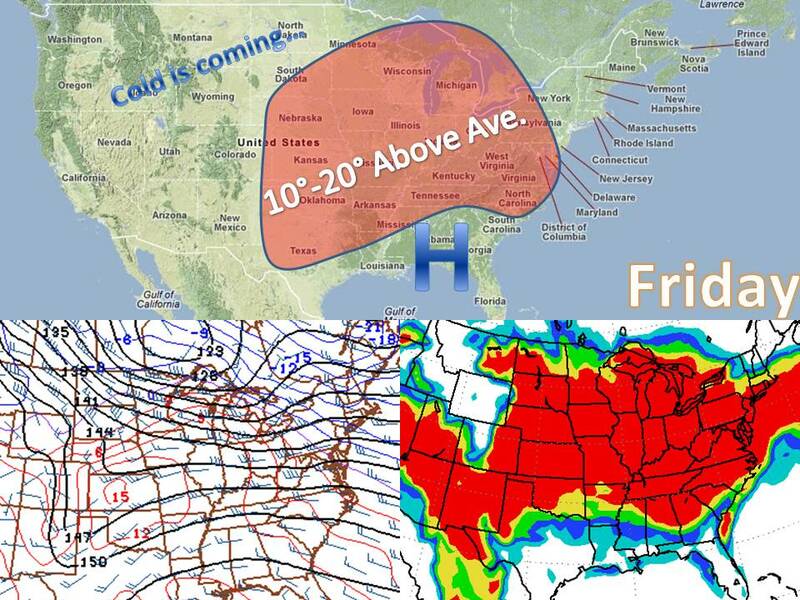 Warm Up for the Midwest is Coming, Maybe Two of them? Another warm up is headed to the Midwest and pretty much the whole eastern 2/3 of the country. High pressure will dominate weather on the southeast and pump up warmer air to the rest of the country thursday and friday. Temperature is most places will run about 15 degrees above normal. Although the warm up will only last a couple days (due to a week cold front) an even larger warm up appears to be on the way for early next week before the coldest air of the season by late next week that may bring a storm with it? So to sum up: warm...average...warmer...storm?...very cold. As of now most models have the storm system moving up the east coast with 6-12" in New York and Pennsylvania, but that may change. Keep it here to midwest weather talk!